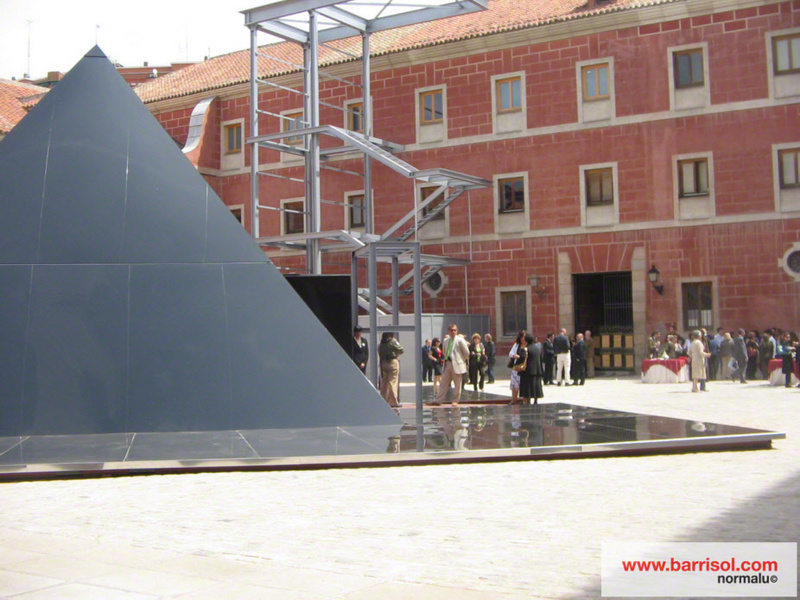 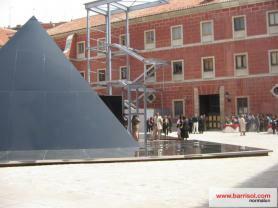 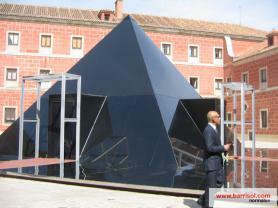 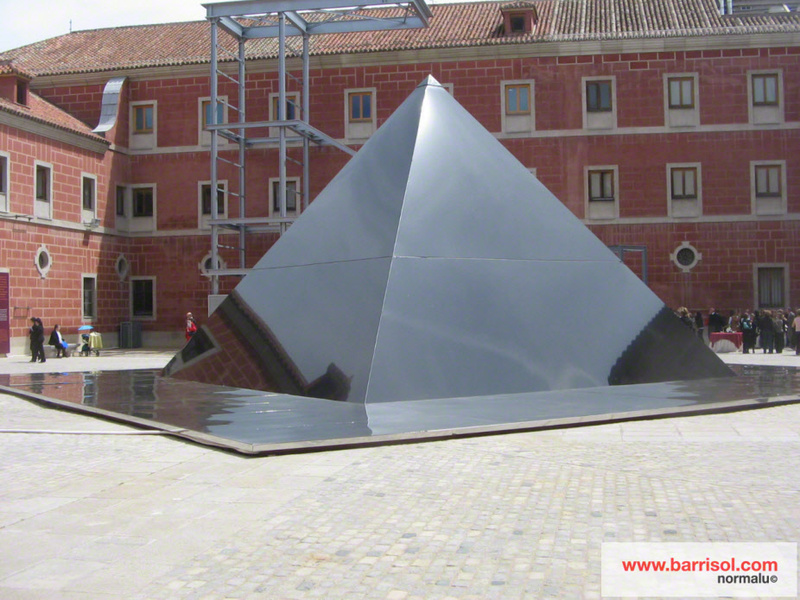 Between May and October, at the time of the bicentenary of the revolution which freed the country from the Napoleonean troops, the architect Antonio Arroyo realized the pyramid installed in the court of the Conde Duque of Madrid. This pyramid was covered with Barrisol lacquers micro-perforated sheets for an external mirror effect and an interior sound comfort. 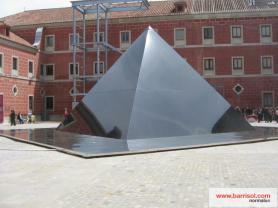 Original creation which makes a wink at the pyramid of Louvre!